Well here we go folks, another post made up of stats, facts and figures, this time from the first 50 WWE PPVs. That's quite the milestone. 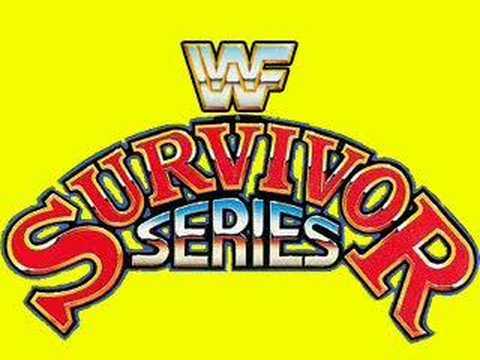 It takes us from the original Wrestlemania all the way through to Survivor Series 1995. So expect to see win records, best title reigns, most PPV appearances and much much more. So let's get to it. Well here we have it folks, the first 50 WWE PPVs reviewed and ranked for your own reading pleasure. Not a list ordered as you would expect at all. We have five new entries to the list, the highest being Survivor Series 95 straight in at number 5 and the lowest entry being In Your House 4 which is all the way down at number 44. In Your House 3 is also good enough to feature in the top 10 mainly down to matches like Razor Ramon vs. Dean Douglas and the tag team main event. The most recent pay per views have actually bought the year 1995 up to joint second making it a strong year overall. There is one more pay per view to review in 1995 so it'll be interesting to see if they solidifies 1995 as the second best year overall or whether it means a drop down the table. The first difference you'll notice to this list from last time is that it is made up of 12 guys instead of 11. There is one new entrant and he goes straight in at joint 5th. He's the man that's been in and out of the WWF ever since the second ever PPV, The British Bulldog Davey Boy Smith. He featured on four of the last five PPVs main eventing two of them. Undertaker is a man who climbs up the list going from joint 10th to joint 7th after wins of the likes of Kama at Summerslam. Bret Hart continues to sit pretty at the top of the list and he's followed by Shawn Michaels, two men who are showing no signs of slowing down just yet. This top 10 is slightly different to the last list. Whereas on the last one Bret Hart was only top by 6 PPV, on this one he has actually had 11 more matches than Shawn Michaels. The top 6 remain the same on this list as the last stat pack. In at number 7 though is The British Bulldog who has wrestled on exactly half of WWEs PPV up to this point. The Undertaker rises to number 8 whilst Hercules and Jacques Rougeau drop down to number 9, just hanging on. It seems like a long long time since Hercules was on pay per view so it's quite amazing how nobody has overtaken him. I think that's a credit to how underrated he was and how he wrestled a lot more than most care to remember. This is the most important record of them all, the highest win percentage. The top spot of this list has always been taken up by The Jumping Bomb Angels and Mr T but this time they are joined by Goldust who actually replaces Alundra Blayze. Goldust is a newcomer to the WWE and has recorded back to back PPV victories over Marty Jannetty and Bam Bam Bigelow. 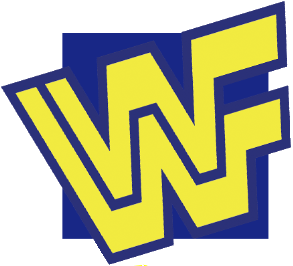 Ricky Steamboat, Ultimate Warrior and Hulk Hogan boast awesome win percentages so keep their spots in the top 6. Savio Vega drops down from 6th to 7th whilst The Steiner Brothers rise from 9th to 8th. Hunter Hearst Helmsley is a new entrant in joint 9th joining Tama. Helmsley replaces Razor Ramon who falls from 8th all the way down to 20th following losses to the likes of Dean Douglas. You're very luck because you get a top 13 for this list due to the amount of guys on 9 wins. Amazing that it still only requires 9 wins from 50 PPVs to get on this list. Bret Hart stays on top after wins over Isaac Yankem, Jean-Pierre LaFitte and Diesel. Hulk Hogan and Randy Savage keep their spots in the top 3 whilst The Undertaker is joined by The British Bulldog in fourth place. Shawn Michaels is the highest new entrant going straight in at 6th joint with The Ultimate Warrior who slips down 2 places. Razor Ramon slips down to 8th whilst Earthquake falls to 9th. Owen Hart and Yokozuna are two new entrant joining Jim Duggan and Ted Dibiase in 10th place. Despite the draw between Mabel and Yokozuna at In Your House 4, this list stays exactly the same as on the last stat pack with Brutus Beefcake the draw specialist. I decided to make this list a top 12 as opposed to a top 9. The top 4 all stay exactly the same with none of them recording any further losses in the last five events. In fifth place Rick Martel is joined by Marty Jannetty. Jacques Rougeau slips down to 9th whilst in 10th we have Jake Roberts, Barry Darsow and for the first time, Mike Rotunda. You'd think going forward this one will be a two way race between Bret Hart and Shawn Michaels. This list stays the same as the last stat pack with all 9 wrestlers losing all of their pay per view matches. It takes a minimum of 4 matches to get on this list so you really have to do something wrong to get on it. Hulk Hogan stays top of this list of course but Bret Hart is slowly catching him up. He's up to 12 now and with the WWF title around his waist I can only see him getting closer to Hulks record. Diesel goes up from 7th to joint 3rd after main eventing the last five PPVs whilst Yokozuna slips down to 5th. Shawn Michaels keeps his 8 spot and Bam Bam, Dibiase, Andre and Slaughter drop down to joint 9th, just hanging on to this list. The lowest rated match stay exactly the same with Mabel and Yokozuna's terrible match being the closest to making it onto this list. In terms of the highest rated matches there are a couple of new entries with the epic ladder match at Summerslam between Shawn Michaels and Razor Ramon being the highest new entrant. The wildcard match between Shawn Michaels, British Bulldog, Ahmed Johnson, Sid and Razor Ramon, Dean Douglas, Yokozuna and Owen Hart also making it into the top 10. There's only one new entry to this list and it's Mabel and Mo, Men On A Mission. They're recorded wins over The Quebecers and Razor Ramon & Savio Vega. This knocks The Hart Foundation off the list. The British Bulldogs are prioritised over other teams because they have won one and drawn one match on pay per view. The rest all stays the same. There's one major change to this list and it's The Smoking Gunns, who picked up wins over Razor Ramon and The 123 Kid and The Smoking Gunns dropping off the list and being replaced by The Blu Brothers who's loss to The Smoking Gunns puts them at the top of the shop. None of the other teams change as none of them have wrestled! This list is an interesting one and features a lot of guys you would not expect to be on it. I think guys like Tony Atlas are only on it because I'm sure a Royal Rumble mark. Ric Flair remains top of the list which could come as no surprise to most. Newcomer Hakushi is a new entrant to the list and goes straight in at number 2 after good performances at Summerslam and Survivor Series. Dean Douglas is the second highest new entry, in at number 4 after decent showings against Razor Ramon. Diesel drops down from 2nd to 5th but is still in a good spot. Adam Bomb and Roddy Piper are the two casualties, dropping off the list. There are no changes to this list due to none of the top ten being in action in the last 5 PPVs and match quality being a lot better than it used to be. Nailz is the newest entry to this list and he hasn't wrestled for 3 years. Half of this list are actually women, showing how bad the quality used to be in the late 80's/early 90's. This list is made up of a complicated formula of matches won, average match rating, main events and total matches. There are some big changes to this list after 5 big WWE PPVs. Most notable is Bret Hart who now sits to of this one, leapfrogging Hulk Hogan. Randy Savage hangs on to the third spot but Ultimate Warrior, who was 4th, has been overtaken by both British Bulldog and The Undertaker. Shawn Michaels is the highest new entry, going straight in at number 7. Razor Ramon drops down to 8th, Yokozuna rises to 9th and Earthquake drops down to 10th, joint with new entry Owen Hart. Well we have a new number one on this list and its Diesel who's year long reign as World Heavyweight champion is enough to put him at the top. He's defeated the likes of Shawn Michaels, Mabel, The British Bulldog and Sid along the way and it means Hulk hogans first World title reign drops down to second. The next five reigns are exactly the same as before but new in at number 8 is Owen Hart and Yokozunas tag team title reign. The other new entry is Shawn Michaels third Intercontinental title reign. He defeated Jeff Jarrett for that gold and successfully defended it against Razor Ramon and in tag team action. This is the only new list that I've added to this stat pack. Jimmy Hart is miles ahead of the number two spot with 64 matches managed. That's pretty unbelievable when you think about it. Fuji is in second with 39 matches managed and he's still going strong. The likes of Paul Bearer, Ted Dibiase, Jim Cornette and Harvey Wippleman are also on this list and still going but I'm not sure they'll ever catch Jimmy Hart. There are a few changes to this list with Miss Elizabeth once again going top. The man who was top before, Mo, drops down to fifth place after his man Mabel lost a couple of big time matches. Paul Bearer climbs up to joint top with Elizabeth after Undertaker also won a few matches with Bearer in his corner. Diesel and Sensational Sherri both go up one place whilst the rest of the list stays exactly the same. And finally, this is the top 11 for managers with the worst record. Luna keeps her spot on top of this list with an awful 5 losses from 5 matches. The two highest new entrants are Sunny and Uncle Zeb who have gone straight in at joint second with 100% loss records from two matches. Ted Dibiase and Jimmy Hart actually go off this list whilst The Roadie joins the bottom. Follow @Bastion_Blogger on Twitter and check out his blog here!